So I have ADHD… it’s new and confusing but its official I have it, but what is it exactly? 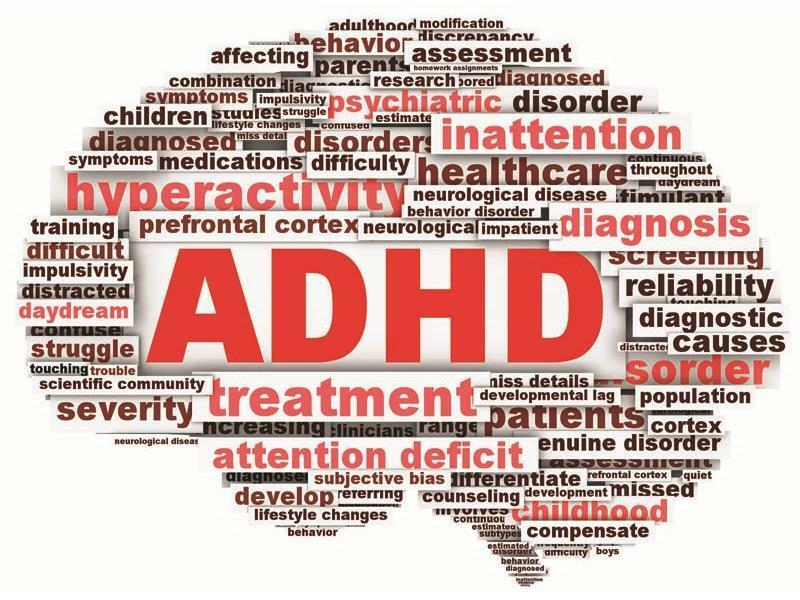 ADHD stands for attention deficit hyperactivity disorder, a condition with symptoms such as inattentiveness, impulsivity, and hyperactivity. The symptoms differ from person to person. 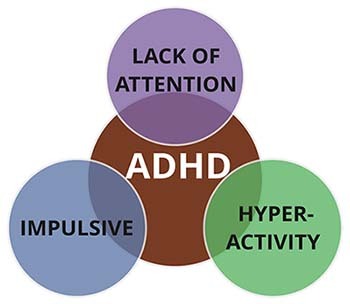 ADHD was formerly called ADD, or attention deficit disorder. Both children and adults can have ADHD, but the symptoms always begin in childhood. What I found fascinating is ADHD is a neurologically based condition! Frontal cortex – This region orchestrates high-level functioning: maintaining attention, organization, and executive function. A deficiency of norepinephrine within this brain region might cause inattention, problems with organization, and/or impaired executive functioning. Limbic system – This region, located deeper in the brain, regulates our emotions. A deficiency in this region might result in restlessness, inattention, or emotional volatility. Basal ganglia – These neural circuits regulate communication within the brain. Information from all regions of the brain enters the basal ganglia, and is then relayed to the correct sites in the brain. A deficiency in the basal ganglia can cause information to “short-circuit,” resulting in inattention or impulsivity. Reticular activating system – This is the major relay system among the many pathways that enter and leave the brain. A deficiency in the RAS can cause inattention, impulsivity, or hyperactivity. These four regions interact with one another, so a deficiency in one region may cause a problem in one or more of the other regions. ADHD may be the result of problems in one or more of these regions. Now the science part is over let’s talk about symptoms. I am going to focus on the symptoms of adults with ADHD and here are the basic ones. Click here for more info on ADHD symptoms. Now almost everyone has some symptoms similar to ADHD at some point in their lives. If your difficulties are recent or occurred only occasionally in the past, you probably don’t have ADHD. ADHD is diagnosed only when symptoms are severe enough to cause ongoing problems in more than one area of your life. Mood disorders – Many adults with ADHD also have depression, bipolar disorder or another mood disorder. While mood problems aren’t necessarily due directly to ADHD, a repeated pattern of failures and frustrations due to ADHD can worsen depression. Anxiety disorders – Anxiety disorders occur fairly often in adults with ADHD. Anxiety disorders may cause overwhelming worry, nervousness and other symptoms. Anxiety can be made worse by the challenges and setbacks caused by ADHD. Other psychiatric disorders – Adults with ADHD are at increased risk of other psychiatric disorders, such as personality disorders, intermittent explosive disorder and substance abuse. Learning disabilities – Adults with ADHD may score lower on academic testing than would be expected for their age, intelligence and education. Learning disabilities can include problems with understanding and communicating. So there you have it a quick summary of ADHD! I have yet to discuss my journey into this diagnosis, but here are some facts on the disorder most of which I had NO idea about! I am still learning how all this affects me personally, but that’s another story for another day. For now I hope you come away reading this with a better understanding of what ADHD is and the realisation that it’s not all just about hyperactive boys in school but something that still affects many men and women into their adult life.